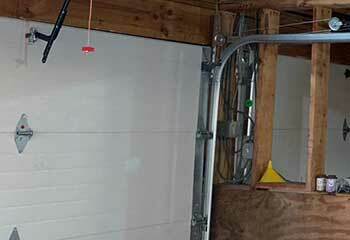 We hope that you won't have to deal with garage door problems, but if you do, we'll be happy to lend you a helping hand. No matter which of the system's different parts is involved, our technicians can quickly fix the issue. 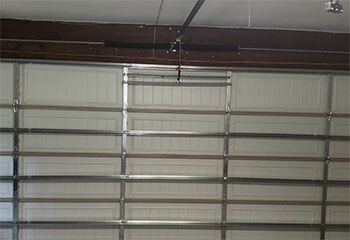 Customer Issue: The customer was hearing noises from his garage door springs, and remembered they were approaching their maximum service life. Our Solution: Since the customer caught this before a spring could actually break, replacing them was a safer and easier affair. Easing the tension out of the springs and removing the torsion caps slowly and carefully allowed the team to replace them and lubricate the torsion system for the next pair. Customer Issue: One of the cables snapped. 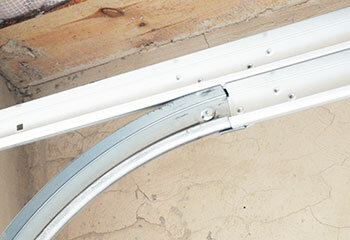 Our Solution: The problem occurred while the door was in motion, which caused it to nearly collapse. We made sure no other part of the system got damaged, then we replaced both lift cables, as the other unit was visible frayed. Before leaving, we showed the customer how to carry out a few maintenance checks to help him avoid all sorts of issues in the future. Customer Issue: Wanted to replace her old door. Our Solution: We offered the customer several different options to choose from, all of which matched her preferences. 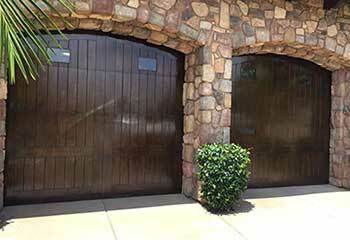 She chose a Clopay Canyon Ridge garage door with great insulation and faux wood overlays that gave it great curb appeal with very low maintenance requirements. We completed the installation a few days later, and made sure she was completely satisfied with her new door. Customer Issue: Bent track sections. Our Solution: Both of this customer's vertical tracks suffered from the same issue, which was a bent section that prevented the rollers from advancing. We removed the damaged parts and installed new tracks in their place, thus making sure the door was able to move past the hindrance.